Peterborough Curling Club offers you friendly, active people to curl with and excellent ice to curl on (thanks to our Ice Technician). We have a wide range of leagues to choose from whether you're looking to join as an individual or a team, a novice or an experienced curler. Click New Member Sign-up to access the 2017-2018 Peterborough Curling Club Application form. Complete the Application form. Follow the instructions listed. After you have confirmed your application, Print the Form and contact the Peterborogh Curling Club for Payment by cash, cheque, debt, VISA or MasterCard. After your payment, your membership becomes active. You will recieve an email advising you that you can log into the web to see all Club Information. The Learn to Curl program for the upcoming season runs from October 2017 to end of March 2018 on Thursday evenings from 6:30 - 8:00 and is designed to introduce new members to our club and the sport of curling. The first 10 weeks involves a mix of classroom training and on-ice practice covering all aspects of the game from delivery and brushing to communication and strategy. 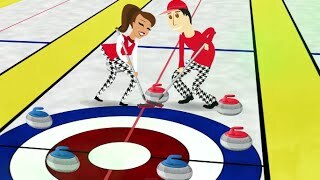 The remaining 12 weeks is devoted to a new Novice Curler League with individuals forming teams and playing a series of games against fellow LTC participants. On-ice coaching continues during this league play providing ongoing feedback on technique as well as advice on strategy, broom placement and brushing calls. An important underlying philosophy behind the program is that we create a relaxed, non-threatening environment and that participants have fun! We have an excellent pool of instructors who are knowledgeable, supportive and welcoming. The cost for this year's program is $250 (plus HST) for the whole season - a great deal and a very nice way to spend those cold winter months. The response has been overwhelming that past four seasons, so get your application in early to avoid disappointment.